Gambling addiction and computer addiction can affect small children, elder schoolchildren, teenagers and adults. Such “ardor” may have tragic results. We offer treatment of computer addiction, gambling addiction according to Doctor Hiller’s method in Moscow. It is a well-known fact that human brain secrets the substance called endorphin. Endorphins (endogenous – internal morphines) form the group of polypeptide chemical substances similar to opiates (compounds similar to morphine) by structure which are normally generated in the brain neurons and are able to reduce pain and influence the emotional state. For example, large quantity of endorphin is secreted by gamblers. While gambling they are absolutely excited and fall into euphoria state. If such process is repeated the physical dependency develops. Gambling results not only in secreting a large quantity of endorphin, but it also increases the level of (N-methyl aspartate) glutamate (the substance which in the absence of endorphin causes irritation, aggression and sleep disorder). A combination of such factors defines the gambling physical addiction symptoms. 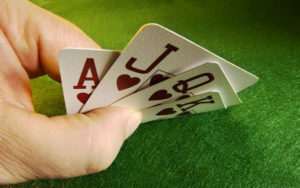 In order to illuminate irritation, cancel out aggression and replenish the lack of endorphin, the gambler has to play. And though most of such people realize that they will just lose their money, they would not want to give up the game process that excites them. Game addiction has tragic results in personal and social life. People run themselves into suicide or have a heart attack, stroke at a young age because of stress, suffer from high pressure, diabetes and similar horrors and other serious complications. 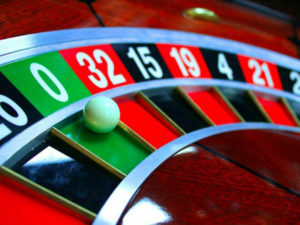 In order to save people from gambling addiction, Doctor Jacob Hiller examined thoroughly the biochemical processes in the brain and developed the effective pharmacological gambling addiction treatment or computer games and game addiction treatment. The patient is intravenously injected the combination of medicines regulating endorphin and L-glutamate levels and the condition of other important brain neurotransmitters. Intravenous treatment phase lasts up to 2 hours under the doctor’s overall control. Afterwards patients take medicines recovering their biochemical processes for 2 months. Thus Doctor Hiller does not classify the problem gambling as “mental” and psychiatric problem. He has proved that game addiction is a real physical addiction which may be cured using medicines, psychological aid.